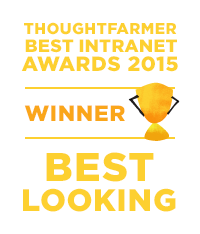 The votes are in, and the winners have been selected for our annual ThoughtFarmer’s Best Intranet competition. This year we had a lot of amazing submissions that inspired us, and conference attendees, with new ideas on how to use ThoughtFarmer. 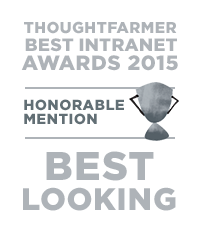 Our clients entered their intranets in three categories: Best Looking, Most Innovative, and Best Collaboration. All submissions were also entered into a draw to win an iPad. Before we profile the winners of the Best Looking category, we are happy to announce the winner of the draw. Mount Nittany Health is the winner of an Apple iPad! Congratulations, Mount Nittany Health! We also want to congratulate the winners in our Best Looking category. Today we will profile ACCA and RS Investments. Design is more than colours and logos, it is about telling a meaningful story. ACCA personified their company’s first president, Arthur Priddle, when they created their social intranet. They brought their brand to life by turning Arthur into a person. 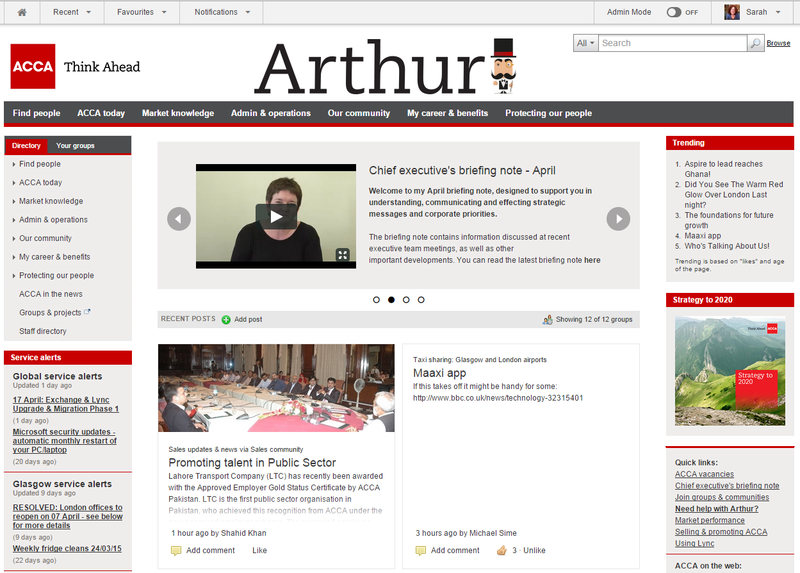 Arthur has a profile in the employee directory and communicates with staff. Complete with a top hat and a moustache, he provides ACCA’s 1,800 users with a one-source gateway to news and information in a personable way. This is the most deeply integrated branding we have ever seen, which is why ACCA is the recipient for the 2015 Best Looking intranet award. ACCA also has a second intranet called Ethel. Ethel, named after ACCA’s first female member, is used solely by their council members. Ethel highlights the strength of consistent intranet branding. 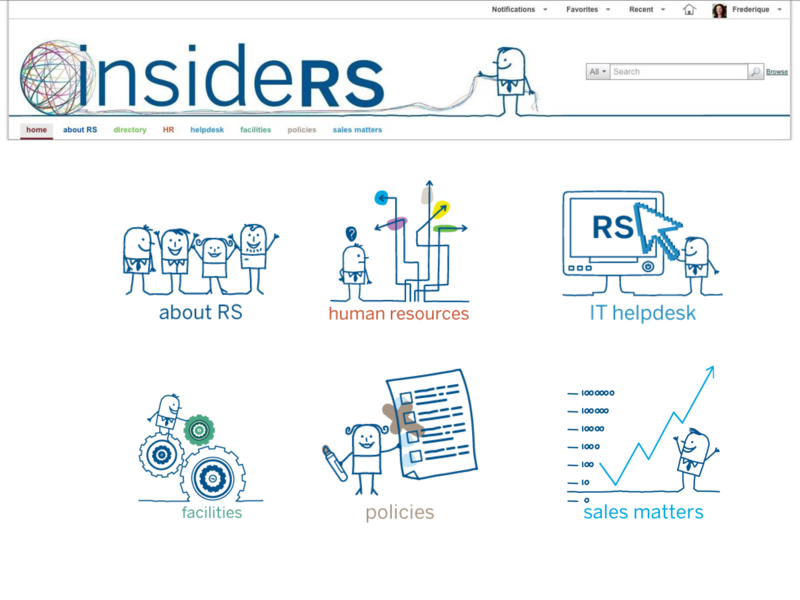 RS Investments wanted a fun and interactive intranet to connect their 230 employees, who are housed in seven different locations around the world. 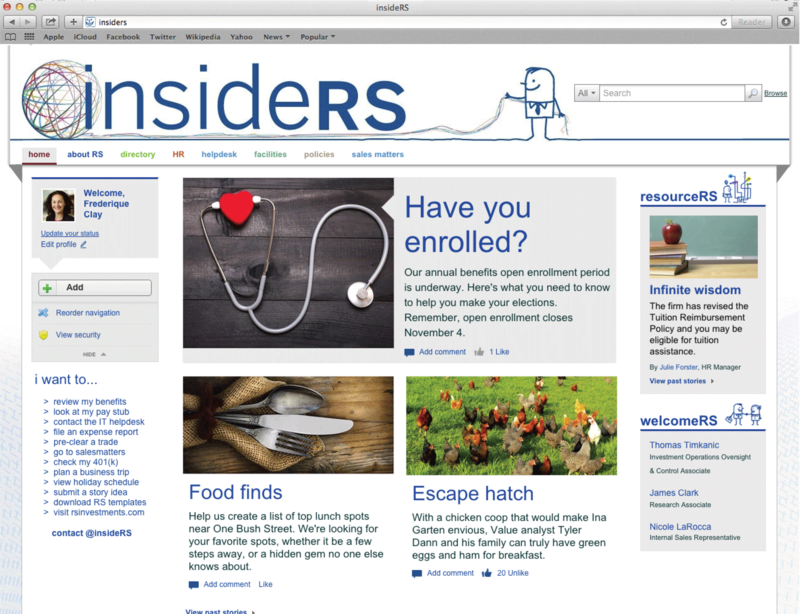 insideRS was created as the destination where employees can communicate with one another and easily access the information they need the most. Hand-drawn characters can be found in banners and headers of main features all through their intranet. It is the unique characters and personalization of Rs Investment’s intranet that awarded them an honourable mention in the Best Looking category. RS Investments personalized their intranet by naming the their mascot, Archibald. Archibald is happily unspooling a ball of yarn on the homepage, while his friends can be found performing various other activities throughout the intranet. Would you like your own beautiful looking intranet? Get in touch for a free demo of ThoughtFarmer.